Franceville arena in Southern Gabon, Kwesi Appiah is to train Blacks Stars again. He takes the mantle from Avram Grant for a two-year contract, announced the Ghana Football Association. The coach at Black Stars for the second time will take charge on May 1st. It is very good for Ghana to have Appiah back as a coach. He has lead Black Stars in the past in 2014 but left the team immediately after Ghana didn’t advance from the group stages at Brazil that year. He was the first black African coach to take the country to the World Cup. However, the country exited the World Cup in the group stages and he defended his team, but after that, he decided to leave. After he left his position by mutual consent in September 2014, in December he became the manager of Al Khartoum football club of Sudan. Given the failure of the national Ghana team under Avram Grant, Kwesi is welcome back. He seemed to be the favourite for the media, other coaches and the public, of course, all the people who felt disappointed by the performance of the Ghanaian team. He will have to take over and start building the team’s performance once more. Appiah will lead Ghana’s qualifying campaign for the 2019 Africa Cup of Nations and will have a second consecutive World Cup appearance in Russia next year. Appiah will also take charge of the national team for locally-based players called Local Black Stars, as an important part of his role as a coach. A lot is expected from the returning coach, but the pressure doesn’t seem to bother him. At this moment Ghana is behind Uganda on the third place in Group E of the 2018 FIFA World Cup qualifiers. Knowing Appiah’s success in the past, it is possible that he will lead Ghana in the finals again, and maybe even end the more-than-30-year wait for a fifth title at the Africa Cup of Nations. 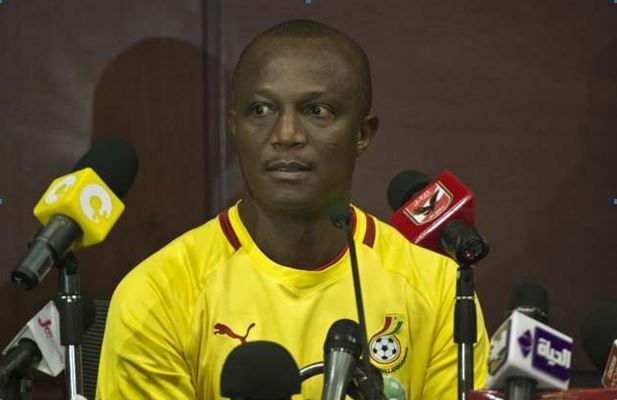 Be the first to comment on "Ghana Black Stars Gets Back Appiah As Coach"